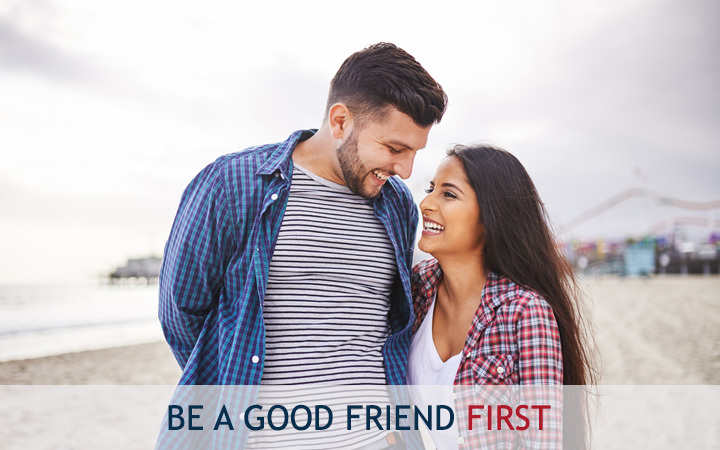 To build a relationship, you need to be a good friend first. And that starts by being a good listener.Thus, all men out there, if you are wondering how to make a head start in a mutually happy relationship, it is a gentle reminder that you need to ask her more questions than only talk about yourself. However, don’t make it sound like a job interview! You need to gently probe, be creative and make it a fun conversation. Dating is about fun and laughter, keeping the spark crackling yet being within your preset boundaries. Leave some for next time. When you need to talk about yourself, don’t just talk about your job. She is interested in knowing more about you as a person, not your role and profile at work. It is best to talk about your interests, passions and places that you have visited or want to visit. Find out things that both of you mutually like and if the relationship works out, you will have plenty to do and talk about later. It is equally important to be an active listener and ask her about her interest and passions. Additionally, being friends’ means you accept the person as they are- flaws and all. You are not in the relationship just for the physical intimacy but because you genuinely like being with your love. You can be yourself without pretenses and share your feelings, insecurities and fears without being self-conscious. When you are friends first, the level of comfort, intimacy and laughter is different. Constructive criticism is taken in a lighter vein and it does not become a bone of contention. It all starts with a happy disposition and a smile. Thus, stay positive and develop a beautiful friendship so that becomes a sound foundation for your relationship. « Are parents better at Matchmaking?